Africa’s contemporary art scene is paving the way for the next generation through a list of vibrant artists who display profound conceptualisation and deft aesthetic innovation. These artists aim to garner awareness for Africa’s socio-economic struggles through their work and offer a slice of the continent’s diverse beauty and vivid traditions. 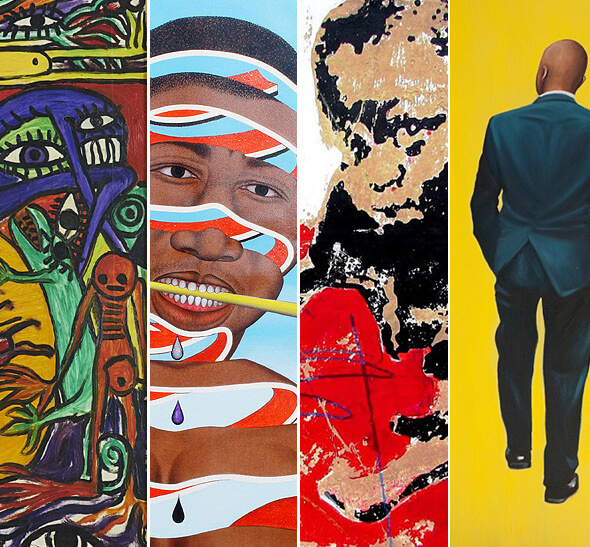 By continuously challenging the norm, these artists are successfully contributing to the evolution of contemporary African art. Durban born Tracey Rose currently resides in Johannesburg and is a recognised contemporary multimedia artist. As an outspoken feminist, Rose provokes the politics of identity through her exploration of sexual, body, racial, and gender issues. Known for her daring performances, video installations, and startling photographic works, Rose’s creations often speak to her multicultural ancestry and the realities of living as a mixed-race person in South Africa. 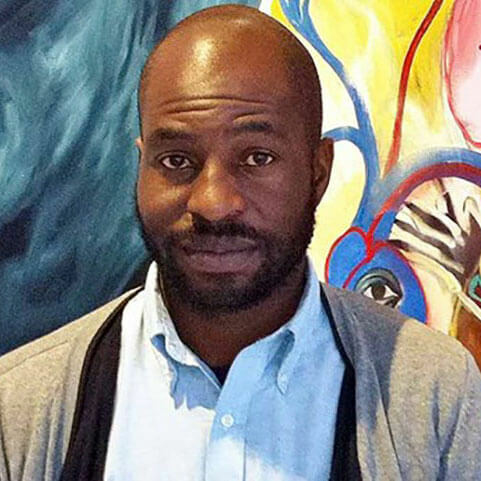 Meschac Gaba was born in Benin and first gained critical acclaim for his travelling exhibition, Museum of Contemporary African Art, which opened in 1997 at the Rijksmuseum in Amsterdam. Consisting of 12 exhibition rooms which were displayed at various art institutions across Europe over 5 years, Gaba aimed to bring African contemporary art into the spotlight by placing them in front of global audiences. Kudzanai Chiurai was exiled from his native Zimbabwe and forced to relocate his life to South Africa after boldly producing a provocative image of then-President Robert Mugable in 2009 – which in hindsight was far riskier than online betting. Gaining a Bachelor of Fine Arts from the University of Pretoria, Chiurai has since become a pivotal figure in the contemporary African art scene and makes use of multimedia compositions to bring to light the most pressing issues faced by the southern African region. Through his use of music, video and spoken word, Angolan Nástio Mosquito challenges prevalent African stereotypes in Western spaces and while his powerful social and political proclamations are often uncomfortable, they aim to stimulate honest reflection in the viewer. Mosquito has exhibited at the Walker Art Centre in Minneapolis and the Tate Modern in London and believes that the production of art should directly involve the surrounding community. Julie Mehretu, born in Ethiopia, is an iconic artist of her generation and is steadily cultivating international exposure. Through large-scale paintings which draw inspiration from aerial mapping and architecture, Mehretu offers an energetic commentary on extremely accelerated urban growth and the struggles that densely-populated cities face. Best described as a compression of place, time, and space, Mehretu’s creations tell the stories of non-specific locations. Ghanaian sculptor El Anatsui has received significant international acclaim for his unusual and highly-recognisable works and is a professor in the Sculpture Department at the University of Nigeria. A prolific sculptor, Anatsui’s preferred mediums are clay and wood, but is also known for repurposing everything from chainsaws and aluminium bottle tops to driftwood and uses his works to highlight a variety of social, political, and historical concerns faced by the African continent.